Smartro VAN service establishes and operates the most optimized payment system that accommodates various payment methods by utilizing strong technological prowess and the broad cooperation network of Smartro. our customer seeks based on our global partnership network. 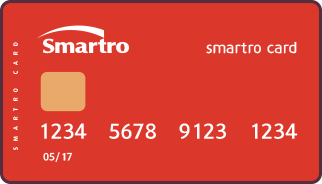 Smartro builds the most optimized payment system tailored to your business environment by utilizing our unique POS solution and abundant experiences in establishment of large-scale payment systems. and Paragraph 2 of Article 50 of TELECOMMUNICATIONS BUSINESS ACT. The service is offered to VAN business operators registered to Financial Services Commission as Value-Added Network Service only for credit card payment. Use for other purposes is prohibited.